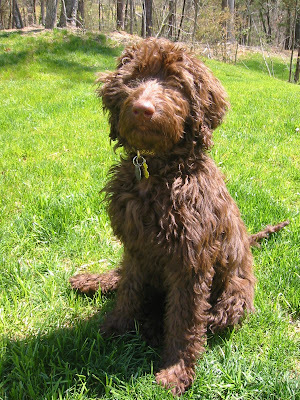 Here is another great picture of Charlie the Labradoodle. He is so handsome! He has his Dad's coat. Photo courtesy of www.mountaincreeklabradoodles.com. Labradoodle dogs are not only good companions but also good watchdogs. They are very easy to train being very intelligent. Very Cute Labradoodle Puppy Outside!